We at Hibiscus absolutely love teaching school groups. Join us for your next outdoor education trip or simply for a fun activity. 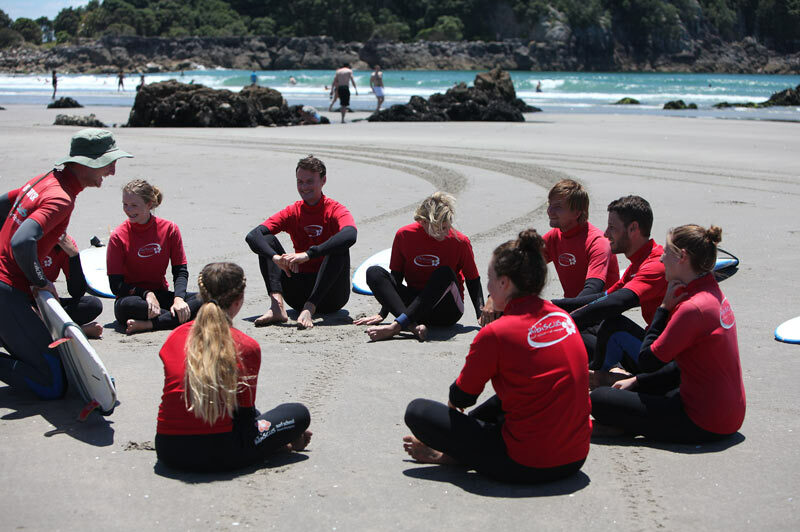 Students will learn team building skills, increase their confidence, and be taught ocean safety and surfing skills in a safe environment. We have over 80 wetsuits and 40 surfboards, so teaching everyone at once is no problem. Our location on Main Beach is the best place for teaching large groups and children, with sheltered, safe beaches and small, friendly waves.  Our super convenient location is close to Leisure Island, The Mount itself, and town, so coordinating other activities is a breeze. Who: Co-workers, Sports Teams, and End of Year Functions! What better way to build team spirit, have a ton of laughs, and increase confidence than learning to surf together. 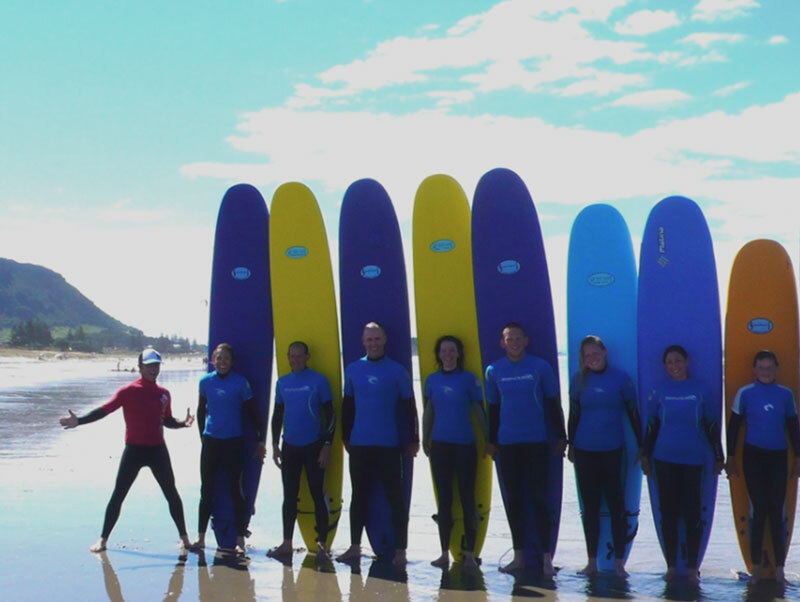 Our business and team groups always have a blast with us, many surfing with us year after year. How about a friendly surf competition after your lesson? Let us know how we can make the day extra special for you. 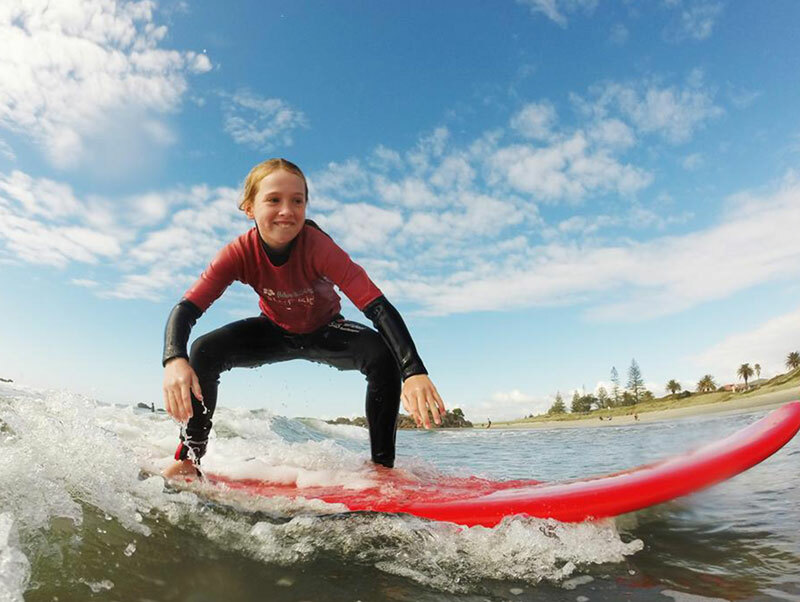 With 2 fantastic Council sanctioned locations on offer at Hibiscus, you can choose to surf the more mellow waves closer to town (Main Beach) or try your hand at slightly bigger waves down the coast, where you’ll often have the beach to yourself. We would love to make your special day more fun than ever! If you’ve always wanted to try surfing, grab your friends and make it happen. Our professional instructors are experts at making surfing easier, so you can just focus on the fun of riding waves and cheering each other on (and of course, sharing each other’s epic wipeouts). Our goal will be to get you all riding waves by the end of the lesson, with plenty of laughs along the way. Get bonus points for wearing a funny costume! A great activity to do before you hit the town. Please contact us for questions and a quote.